Drafted by the Alabama Securities Commission (ASC), the Protection of Vulnerable Adults from Financial Exploitation Act went into effect in July 2016. Its goal is the protection of “vulnerable adults, ” defined to include persons 65 years of age or older and persons over 18 years old who are senile, have intellectual or developmental disabilities, or are mentally or physically incapable of adequately caring for themselves — in short, individuals who are most susceptible to financial abuse. First, firms are required to notify both the ASC and the Department of Human Resources (DHR) if they have a reasonable belief that financial exploitation of a vulnerable adult has occurred or is being attempted. Signs that a senior investor could be the victim of financial abuse may include uncharacteristic and repeated cash withdrawals, the appearance of new and unknown associates at meetings, or sudden changes to financial documents such as powers of attorney and account beneficiary forms, among other unusual activity and behaviors. The initial reporting form for suspected financial exploitation was developed by the ASC and DHR and is located on both of their web sites. Second, firms are permitted (but not required) to notify a trusted third party, such as a family member or someone closely connected to the vulnerable investor, about unusual or potentially exploitive activity. It is up to the firm to choose an appropriate individual to contact; however, in doing so, the firm must abide by federal privacy laws and consider other possible ramifications of sharing sensitive financial information with third parties. Firms can avoid many such issues by taking proactive measures early in the relationship with the investor to identify a trusted contact. Third, firms are authorized to delay or place a temporary hold on a disbursement of funds from the account of a vulnerable investor in situations of potential financial exploitation. If a firm chooses to delay a disbursement, it is required within two business days to notify all authorized parties on the account at issue and report to the ASC and DHR. The firm must also conduct an internal review of the suspected exploitative activity. The review and final resolution of any potential issue must be expeditious: a firm may not delay a disbursement of funds beyond 15 days without an extension from the ASC or DHR. Firms that fully comply with these provisions can expect to receive immunity from civil and administrative liability that could result from, for example, disclosing confidential information to third parties. The Act maintains that a firm must act both in good faith and with reasonable care to receive the benefit of immunity. The ASC has provided a written guide for firms to assist in implementation of the Act. The guide—located on the ASC’s web site at http://asc.alabama.gov—discusses policies, procedures, and training that firms should develop to identify vulnerable investors and to detect potential financial abuse. Some suggested practices include specialized training for advisors and other personnel to spot the signs of cognitive decline and to communicate with persons experiencing diminished capacity, and developing policies such as placing “watches” on accounts with suspicious transactions, documenting contact with senior investors, and instituting appropriate escalation procedures. The guide also walks through the mechanics of the Act’s reporting requirements and considerations when notifying third parties or delaying disbursements. Since the passage of Alabama’s Act, other states have followed suit and enacted their own laws protecting senior investors. Any Alabama broker-dealer or investment adviser seeking to expand their business to another state should be aware of that state’s requirements and how they may differ from Alabama’s requirements. In Missouri, for instance, reporting of suspected financial abuse is optional, not mandatory. In 2018, both the Financial Industry Regulatory Authority (FINRA) and Congress took action to protect senior investors from potential exploitation. Changes to the FINRA Rules include allowing member firms to place temporary holds on disbursements and requiring firms to make a reasonable effort to identify a trusted third-party contact in connection with the account opening process. Recent federal legislation titled the Senior Safe Act provides immunity to institutions — including banks, credit unions, insurance companies and insurance agencies, in addition to broker-dealers and investment advisers — if they report suspected exploitation in good faith and with reasonable care and provide related training to their employees. However, unlike Alabama’s Act, the federal Act does not require such reporting or authorize the delay of distributions. These new developments are not a passing trend. According to the U.S. Census Bureau, by 2035, there will be 78 million people age 65 years and older, meaning that one in every five persons in the U.S. will be retirement age. Baby Boomers currently control $13 trillion in investable assets, and that number will only grow, making financial abuse protection for these older investors acutely important. Alabama financial institutions should prioritize the development of policies and procedures to protect their senior and vulnerable adult investors, not only to comply with Alabama’s Act but to stay ahead of the next wave of rules and regulations. 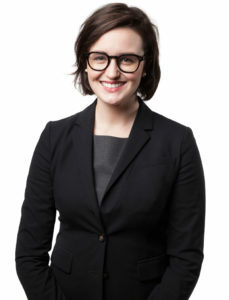 Sarah Yates is an associate with Bressler, Amery & Ross P.C. in Birmingham. She received her J.D. from the University of Alabama School of Law and her B.A. from the University of Alabama. Yates’ practice focuses on the defense of brokerage firms and financial institutions against claims asserted by their customers. She is also a member of the firm’s Senior Issues: Counseling and Litigation Defense group, which provides counsel to corporate clients who confront issues affecting seniors.